If the cows had a choice of their own. For close to 10 years, we have been a De Laval partner and delivered the cable assemblies for their VMS milking robots. VMS is De Laval’s system for voluntary milking, combined with food access. Today, De Laval’s milking and feeding solutions are implemented in more than 100 countries around the world. An experienced harness maker nearby is highly appreciated for the success of our VMS range. Cable assembly solutions for freedom and quality milk. De Laval draws on 125 years of experience and innovation in the field of milk production, and helps milk producers to run their farms the way they want to run them. 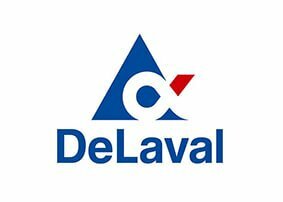 Starting today, De Laval’s goal is to have an impact on future milk production. This means speeding up the transition from mere milk production control to an overall view of the farms total profitability. 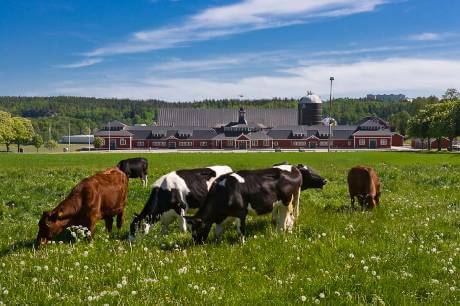 The photo shows De Lavals experimental farm Hamra, located south of Stockholm. Hamra was built in 1901, and has always played an important part in De Laval’s product development.